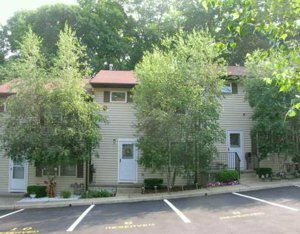 Brookridge Condos: This is a community is self managed and only minutes to The great TappanZee Bridge and major highways. Enjoy the nearby parks and hiking trails. Close proximity to Rockland State Park. The Brookridge Condos community is located in Valley Cottage NY. Valley Cottage is centrally located in The Town of Clarkstown and Clarkstown is located in beautiful Rockland County NY. You can search for all homes for sale in Valley Cottage here. Can't find what you're looking for? Reach out to us via our contract tab (top right) phone, text or email. So ... what is the Travel and Commute time from Brookridge Condos to NY City? Options abound for travel from Brookridge Condos to New York City. So ... Whether by car, bus or train, your trip to the city is convenient to “all points South (and North)”. In short order you will gain access to Thruway (87) and The Great TappanZee Bridge will speed you along your scenic journey (approximately 30 miles). Close by is The Palisades and New Jersey Highways.